The Leesburg Town Council’s study of whether to acquire the Westpark Golf Club may have come too late. According to a feasibility analysis prepared for the Town Council, the golf club property is under contract to a private developer. The property had been on the market since late summer and was being marketed as having the potential for by-right residential development of up to 27 homes. The 142-acre tract, which used to house a hotel, also is zoned partially for commercial use. Located off the intersection of Rt. 15 and Clubhouse Drive, the property has generated significant local interest since it was revealed to be up for sale. Most recently, the Leesburg Town Council threw its hat into the ring as a potential buyer, asking town staff at its Oct. 24 meeting to report back on options the town could pursue in seeing the property remain as possibly a municipally run golf course or park space. The town’s Parks and Recreation Commission had passed a resolution at its October meeting asking the council to pursue similar steps. The staff report sheds light on some revealing details about the property, and also casts some doubt as to whether a municipal golf course on that site would be a wise investment. The report notes that staff members spoke with current and former members of the golf club, and also did a visual evaluation of the site. Significant improvements are needed if a golf course use is to be maintained, the report says—both to the existing clubhouse and to the course itself. Staff estimates these costs to be between $1.5 million to $2 million, or more. Needed repairs include a new roof for the clubhouse, the replacement of several HV/AC units, the installation of an elevator to achieve ADA accessibility, the resurfacing of the parking lot, and potentially the replacement of windows. It was also noted in the report that some water damage exists inside the clubhouse. For the golf course, identified improvements include the installation of an automated irrigation system at holes 2 through 8, the re-paving of cart paths, and the rebuilding and maintenance of sand traps. Uniform conditions also need to be created throughout the course. Members of the town’s Parks and Recreation Advisor Committee had hoped the town could operate the facility as Leesburg’s first municipally-run golf course, but the staff report notes the financial difficulty in doing so. “Based on the limited information staff was able to attain, Westpark Golf Course is generating 18,000 to 25,000 rounds [of golf] with minimal to zero net revenue being produced,” the report reads. 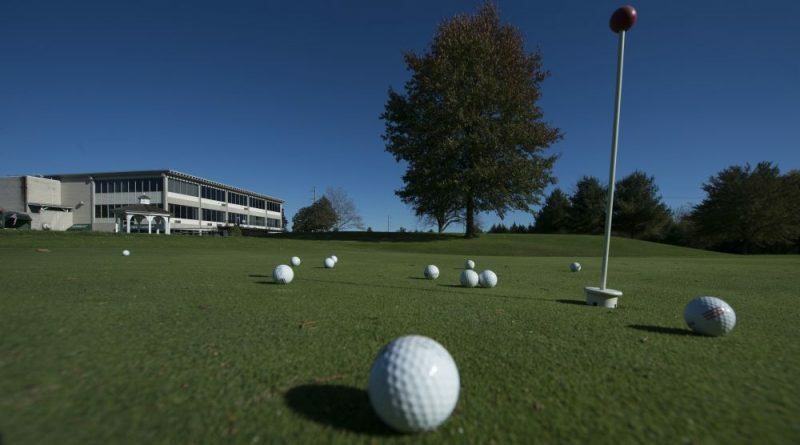 The report notes other municipally run golf courses in eastern Loudoun or Fairfax County that generate 30,000 to 40,000 rounds of golf annually and produce revenues up to $100,000. However, none of the referenced facilities have debt service responsibilities. If the town were to run the property as a golf course, the report assumes it would produce revenues and rounds of golf near to its eastern Loudoun and Fairfax counterparts. “However, should the annual debt service of approximately $640,000 for the acquisition and capital improvements be incorporated, golf operations alone could not generate net positive revenue,” the report states. Some possibilities the town could explore in generating more revenue on the property could be leasing out floors of the existing clubhouse to commercial tenants, or selling or leasing the currently unused commercially-zoned land next to the clubhouse. But the report throws doubt on whether that would work out. “At this time there is not confidence that there is sufficient revenue potential within the property to offset the debt service and operate the facility with positive net revenue,” it states. The report also notes that the town reached out to both Loudoun County and NoVa Parks, at the council’s request, on a potential partnership to operate the course with the town. Neither were interested. The evaluation period for the current party under contract for the property is expected to last through the end of the year. Reached Friday, Chris Reynolds, the listing agent for the property, confirmed it was indeed under contract to a private developer but declined to provide further details. It sounds like the Town buying the property is not good for the Town. And other partners what nothing to do with it. So Council will move forward and raise taxes to pay for this money trap . I previously commented on this and basically conveyed everything written in this article. I find it amazing though that Kelly Burk, Marty Martinez and Ron Campbell already tried to reach out to Loudoun County to become a partner on a losing financial deal when they have a same losing deal with OUR airport and they won’t partner up with the county. Oh, they will agree to enter into talks with them in the upcoming months, with Toth and Boykin leading the charge, but ultimately the 100+ page report produced by the the Economic Steering Committee will be discussed and propose 5 ways of financing new hangers. If/when this doesn’t happen, again, the elitist and other hobbyists will continue to use OUR tax money and pay no landing and other fees. The dog and pony show wil continue and continue. Amazing how quickly the Town can reach out for the golf course, but not for the Airport! Net net, Our Airport makes the Greater Loudoun County money, and not just the Town, and it should be in the hands of the County. Kelly Burk, Kristen Umstaddt, and the liberals run Leesburg and they don’t want to lose control of their financial baby. Others who run it don’t want to lose control of their playground. Back to the golf course. I don’t know who entered into the contract, but I wouldn’t be surprised if Marty Martinez, the golfer on the Town Council, tries to talk others into attaining the golf course portion of the land, even though, so few actual residents use the course. Well, Marty does. So do I. It doesn’t make sound financial sense for the Town. Lawgh, please advise. Councilman Martinez always relates expenditures back to how it will help him. He says citizens pay for bus service cause he would love to have it come by his house. He says he would love to ride metro rail to work from Loudoun so he sends letter to county supporting the citizens pay for it. He would love the see Westpark to stay cause he plays there so citizens pay up again. And the list goes on and on. We can’t afford to keep Martinez happy anymore.